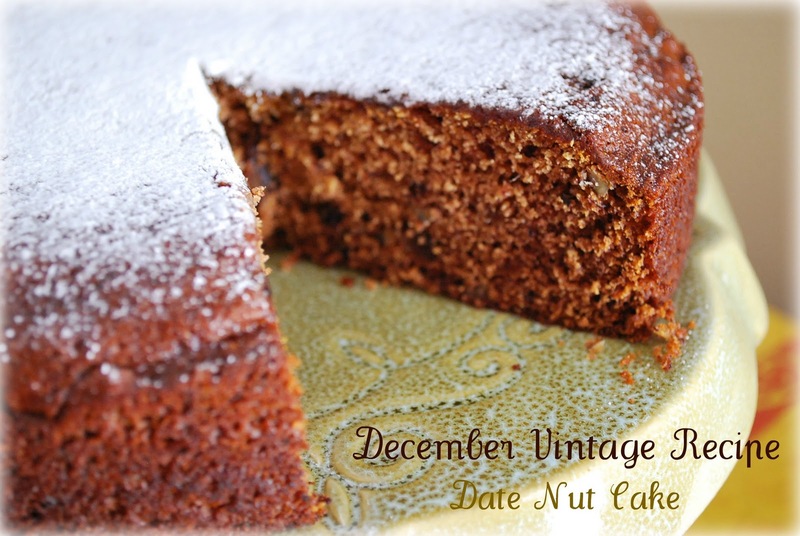 This incredibly moist vintage Date Nut Cake recipe is just like grandma used to make, made with unbleached flour, butter, spices, dates and nuts. 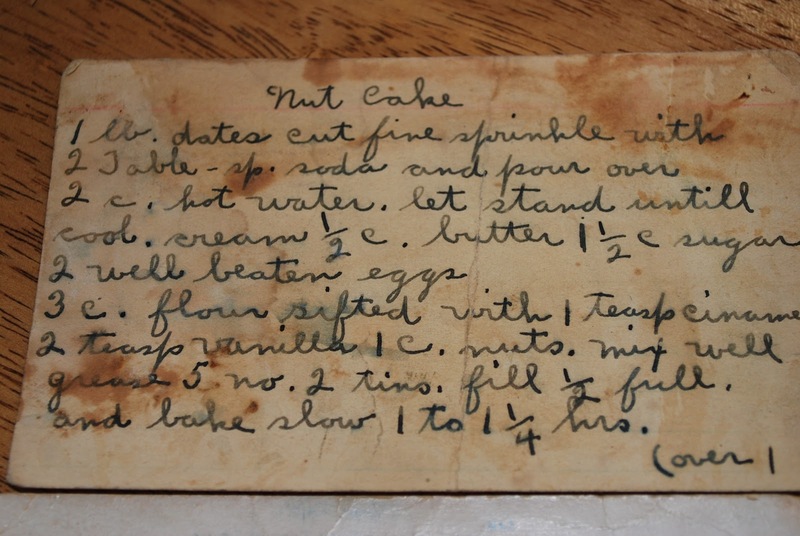 My mom recently gave me a copy of this Date Nut Cake recipe that belonged to my great grandma Stauber. 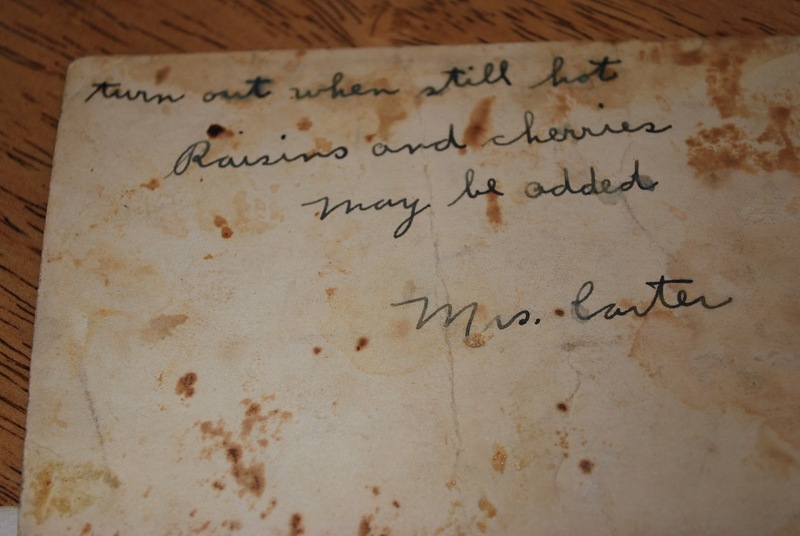 It’s part of the recipe collection that she gave me last Christmas, but got mixed in with her recipes at home. We decided to make this together while she was in town visiting for Christmas. It was fun to be able to work in the kitchen with my mom and try something new. It turned out really moist and tasty. 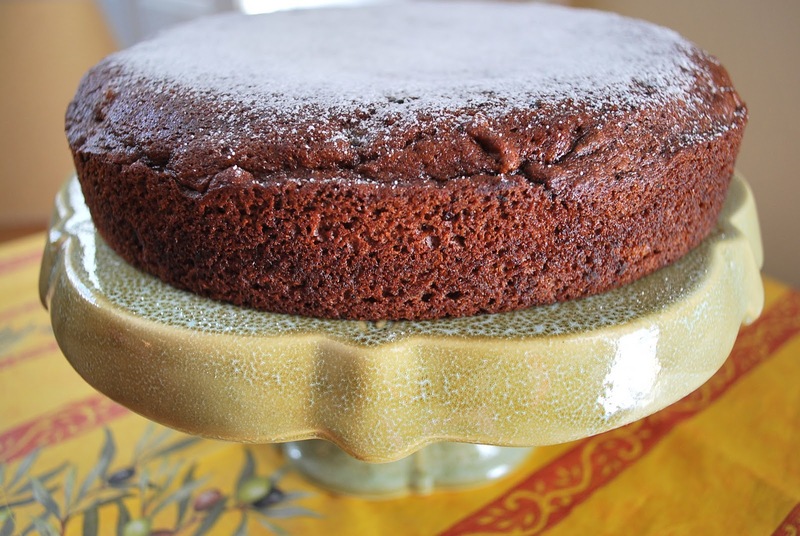 I love the simplicity of this cake recipe. 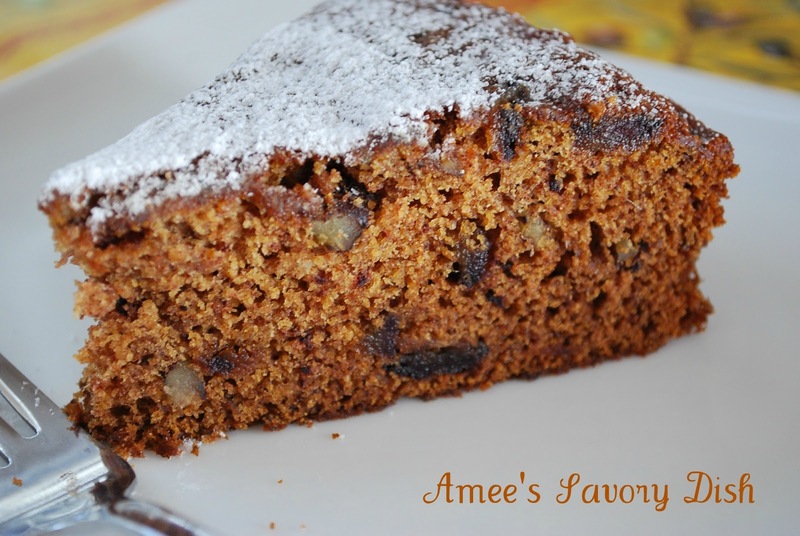 Perfect with a morning cup of coffee or an afternoon cup of tea. The amount of baking soda seemed a bit much when preparing, but the end result is perfect. My husband and I agreed that the one thing that would make this incredible would be to soak the nuts in bourbon for a few days (or up to a week….some drunk nuts) and then add the drained nuts to the batter. Of course, what’s not good soaked in bourbon??! We absolutely love the taste, texture and easy preparation of this dessert. I can see how it’s been loved and passed down for several generations. If you love dates, then you need to check out these amazing Oatmeal Date Bars. They are another family favorite and so good!! Place chopped dates in a large bowl and sprinkle with baking soda. Pour boiling water over the dates and let sit until cool. In the bowl of an electric mixer, cream butter and both sugars and then add the beaten eggs. Sift the flours with the teaspoon of cinnamon and then slowly add to the butter mixture until all is incorporated. Add vanilla, dates (with water) and chopped nuts and stir until blended. Pour into two 9 inch greased and floured cake pans and bake at 350 degrees for 35-45 minutes or until a toothpick inserted into the center comes out clean. This can also be served topped with fresh whipped cream. I love the idea of trying out vintage recipes. They are always so much fun. Thanks for linking up this week. so do you add the water w/the dates to the batter or drain off the water before you add the dates? please clarify – thanks! yes, you add the dates with the water to the batter. Thank you for catching that error for me! Sorry! Perhaps I’m just not seeing it but, is there a printable version on site? Adri, this was an older post before I updated my site so it didn’t have my recipe plug-in active for printing. I just corrected it to the printable version, so you can print it now. I hope that you enjoy it! I first remember my grandmother making this in 1972. I liked it so much that I asked her to make it for me on my birthday each year. She served it with whip cream on top. I believe she first found the recipe on the back of a box of dates, but am not sure. We have some of the best memories around our favorite foods. Love this Mike! I don’t know what spelt flour is?? Anyone? Hi Joanna! It’s a type of wheat grain, but you can easily substitute white wheat flour or unbleached all purpose flour in the recipe. Is this a moist cake? You say to add regular flour in place of spelt but you are also adding flour in addition. S poo would I increase unbleached flour? Hi Pat! For this recipe, you would use 1 1/2 cups of spelt flour and 1 1/2 cups of unbleached bread flour. You can also use regular flour instead of the spelt if you don’t have it along with the 1 1/2 cups of bread flour. I hope that makes sense. It’s a total of 3 cups for all flour. Hi Robert! Two 9″ cake pans is what I used. Can this cake be baked in a tube pan or pan? I haven’t tried it in a tube pan, I used two 9″ cake pans with great results. The time would need to be adjusted for different size pans.